Fun for all the family in Pinner Memorial Park! Over 50 community stalls, food court, children's rides, musical entertainment and more. Pinner Village Show is a local community event organised by Pinner Rotary. It provides an opportunity for local charities and good causes to advertise themselves to the local population, alongside small businesses selling craft items etc. This year we have over 50 stalls plus a food court with a licensed bar. 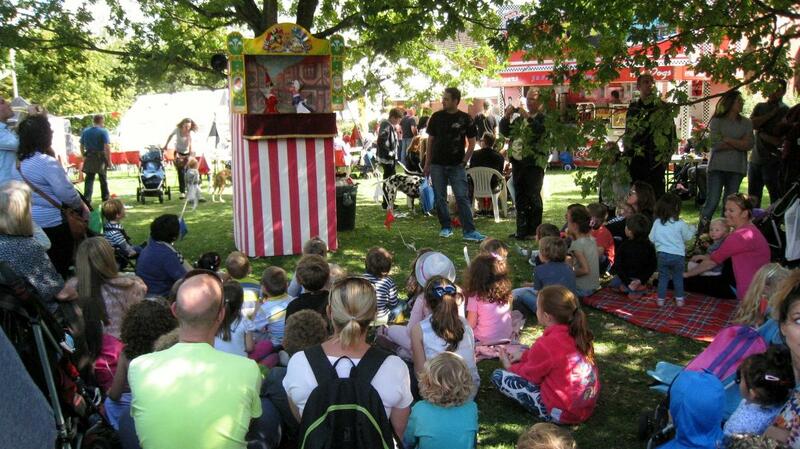 There are children's rides and entertainment with the model train, a petting farm, Punch and Judy and a coconut shy. Live music throughout the day with Harrow Concert Band, the Glen Trew Pipers and new this year the Milly Soo Band and Pals, a singing duo. The Show will be opened by Nick Hurd MP and concludes with the draw for lucky programme winners and the draw for the Meal For Two raffle.